My lo kong is not the type to insist that I must cook up his favorite food. However, many a times he did suggest that I should try baking homemade bread for a healthier diet. As quick solution, I had thought of buying a breadmaker. But on second thought, lo kong might be right that it will end up as a decor item ... much like most of my other kitchen utensils. 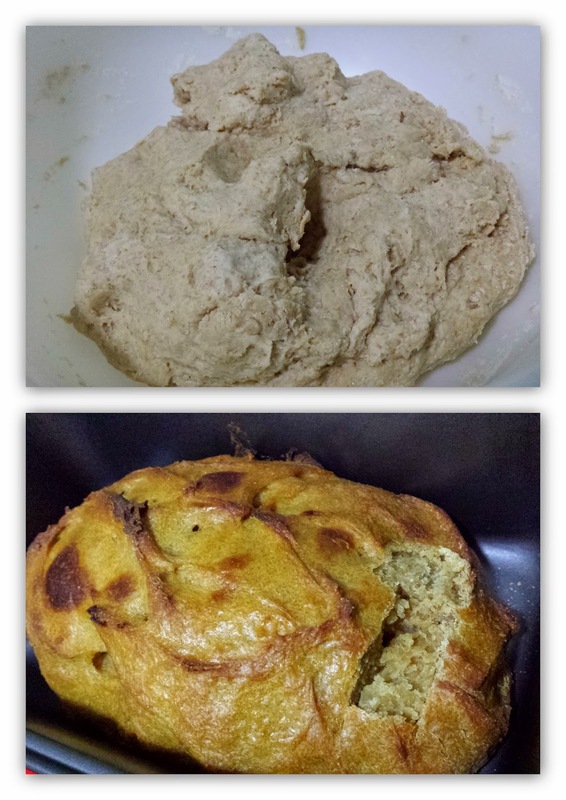 With a bad hand at baking, I had put off baking my first loaf for a very long time until recently when I found a simple to follow recipe which was demonstrated by a 4 year old. Yup ... you heard right! So, how can I go wrong when a 4 year old can do it right? Since I had all the ingredients in the kitchen, I followed the recipe and steps to the T. Next was to allow it to stand overnight so that the yeast will activate. Each time I popped into the kitchen, I'd peer into the mixing bowl to check for any reaction. Hmmm ... nothing. Next morning ... still nothing. Why??? After almost 24 hours and despite my gut feel that the dough will not work, I still popped it into the oven. Naturally, there was no bread for the day. My first loaf is a rock!! !